This is going to be useful for all of you that work people, sit in meetings all day, and do all that collaborating. I’m lucky that no one has come up to my desk to yell ‘You have 2 minutes to innovate dammit!’, although I have at times come close to having a mind meld with similarly sane but different people. So for a good deal of the week we are in an office like environment, eating lunch, taking notes, pointing at white boards and sounding intelligent. For most of us, that involves drinking coffee. I love that picture. As a leader accountable for the performance of an operational technology team, it is a constant reminder of where the value is, or isn’t. I’m happy to report that as of late October 2010, 37 individuals have signed up for coffee grounds collection from a large scale office complex in the Melbourne CBD. This includes collecting coffee grounds from all those automated push button espresso machines in 2 office towers, and from a laneway of cafes. With all the participants, we are getting close to 10 tonnes of used coffee grounds a year, or 200 kilos a week. Imagine that replicated in all the office blocks in all the cities in Australia, or better yet – the world! The response was fantastic and much better than I was expecting. Would have been happy with a dozen, so 3 dozen is simply wonderful. There are some things you need to do before you get to the point of inviting others to help make a difference, and the ‘how much’ they help depends on the size of the building and number of people in it, current recycling initiatives (or espoused initiatives! ), organisational structure, degree of outsourcing, and the willingness of company representatives to support the idea. Speak with your supervisor/manager about what your idea to start collecting coffee grounds from the office. You own it, you drive it, and at the least it shows initiative. Go through all the benefits that used coffee grounds will deliver when out in the garden. What you want from your manager is endorsement of the idea and that he/she is all good with you talking with others about it, including the people that will actually make it all happen. If it is a small office with a few of you and the coffee machine then it’s going to be very easy to get started, but if not then let’s keep going. Speak with the Property/Facilities manager about how you want to start collecting coffee grounds from the office. You can use any or all of the information on this site to help you do that, ask them to read the Ground to Ground Primer, or use the Collecting Coffee Grounds in the Workplace Presentation. Some of the larger office buildings have a Property/Facilities team with dozens of members so you want the leader of that team to endorse the idea and then advise who in that team (or extended outsourced team), is going to help you do this. If this team also empties all the coffee grounds from those machines into the dumpsters, then you can get started straight away. Otherwise let’s keep going. Most office complexes outsource some part of their concierge, Facilities management, security, waste management and other functions. Companies such as Sodexo do this work on a global scale, and they would be the ones that empty all the bins, including the bins where those lovely coffee grounds are emptied into. The Property manager should be able to point you in the right direction. What you want from the outsourced company is endorsement of the idea and that they will make sure they go where you want them to. If you example you just wanted to take them home for yourself, then they might put them under the counter for you and off you go. I actually did this for a while and a fellow Grounder, Jonathan Mackley is collecting coffee grounds from the office like this right now. Building owners, Property managers, and companies such as Sodexo may then outsource their waste management needs. Who is responsible for making the outsourcing arrangements will depend on who owns the building, so if your business is just leasing space in the building, then you will need to find who does this for you. The company that handles waste management at our complex is Consolidated Property Services, and these are the people that will store your grounds and then help you access them. What you want from the waste management company is an agreement that the grounds are better off in your garden than in those dumpsters. Less fill for them, more vegies for you! I’ve taken some happy snaps to show you what the whole setup looks like. Not a great deal to it once all the necessary people have agreed to the idea and get behind it. But it is such a great idea why wouldn’t they want to help out, and who wants to see those grounds in the bin!? 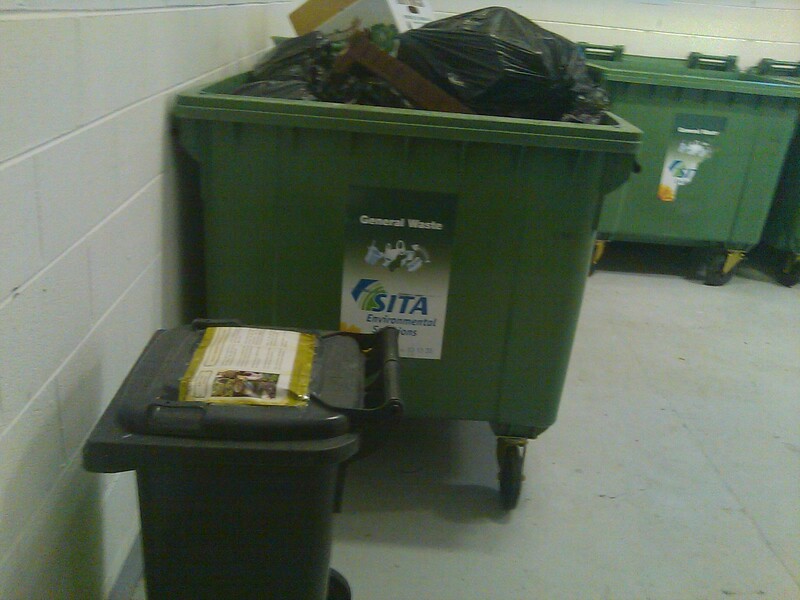 The image below is of our humble little 120 litre bin for collecting coffee grounds in the CBW complex. I sticky taped one of the Ground to Ground brochures on the top for easy identification. When the cleaning crews arrive to the basement with their trolleys loaded with rubbish bags, some of them will have those freshly used coffee grounds in them, along with some paper wipes, tea bags, banana peels, apple cores, ETC. It will be mostly coffee grounds however, and those other items are a welcome addition to the compost in any case. And sitting next to one of the dumpsters with all the general building waste. Our little coffee grounds bin looks very small in comparison doesn’t it. Now the hard work for collecting coffee grounds from the office is done, what’s next? Well folks, my suggestion is that you do this solo, or with a small group for at least a month. That will give you the time to work through any issues that will arise, and I can assure you that at the beginning things are going to go wrong. There is nothing wrong with that, all that matters is that you fix the problem, or process, or output (depending on your point of view), and keep moving ahead. I don’t think I could have gotten to this stage without going through this trial period, and just think about how much you will know about collecting coffee grounds when you get around to talking to groups about it. That should do it for now friends, I will follow up shortly with Part 2 (Coffee Grounds Collecting at the Office – Getting Interest), all about getting the communications out there to potential coffee ground converts, or as I now like to refer to them -Grounders!! If you have not yet joined the Ground to Ground page on Facebook, how about you go Like it and get involved to make a difference. Click the Logo to access the complete archive of Ground to Ground knowledge and materials on this site. 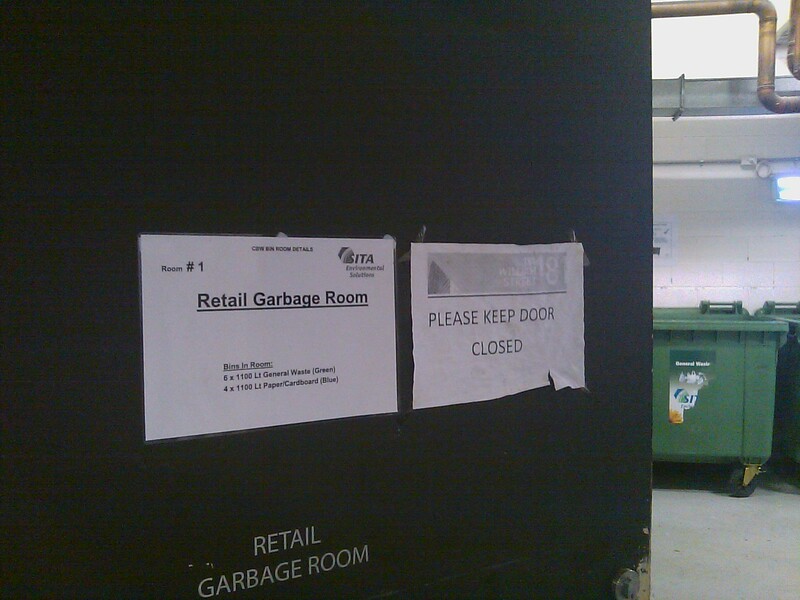 Tags: coffee grounds, compost, Fertilizer, Ground to Ground, office. Bookmark the permalink. Love it! Thanks for taking this on Linda. I only just discovered your site, and it’s fantastic. It’s great to have a one-stop resource for explaining all about coffee grounds to people. I’ve been collecting the coffee grounds from my office for 2 or 3 years now. I just use a simple 2-bucket system. The buckets live under the sink, and our cleaner empties the coffee machine bin into the front bucket. Every few days, I take it home and he continues using the second bucket. I then return the empty, cleaned bucket behind the the “working” one, and the process continues. I get about 2x 5 litre buckets per week (and would happily take 10 times that!). The buckets have lids so there’s no smell or mess. 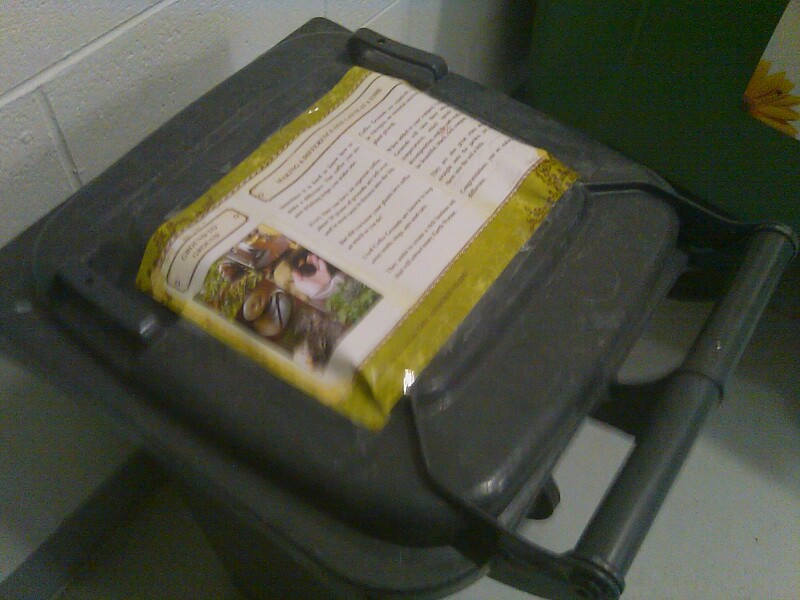 Our cleaner really likes it too, because he used to empty the grounds into the normal bin. Whenever the bag would catch on something and get a small hole torn, coffee grounds would come spilling out and make a real mess that he then had to clean up. Good on you – always love to hear that people like my site. Having a site dedicated to used coffee grounds is not something I would have guessed for myself a couple of years ago, but people like yourself Darren make it all worthwhile (and the fact that my plants are doing so well). There are really no bad outcomes for collecting coffee grounds at the office. You get a better garden, save on landfill, and the cleaner doesn’t need to carry those heavy rubbish bags. That system you have sounds great, and exactly how it should be setup. Thanks for writing in, and I’d happy anytime to run a post on this site about some of the good work you are doing at your office or in the garden. Just let me know. Cheers, Shane. Your idea seems to be catching on, Shane! It ought to become as popular as er… coffee? HAHAHA, yes indeed :). No reason why every coffee drinker does their bit to make a difference – SG. Fabulous advice. I did something similar at a former company and even some of the used the grounds in the office plants…. no one believed a little sprinkle of coffee grounds would help but they were believers when most of the plants came alive and had a growth spurt. plants response to coffee. That is almost always the case Alivia. Once people see the results for themselves, any resistance to the idea is normally is taken care of. Maybe you can start doing this again where ever you happen to be now? Thanks for reading. This is a great post, Shane. I really admire how motivated you are. It is not always so easy, and your support makes all the difference – SG.